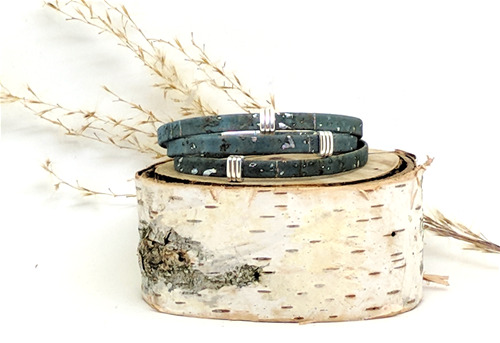 Based in beautiful and inspiring Burlington, Vermont, Elisabetta Studio hand crafts eye-catching and supremely wearable jewelry using eco-friendly, sustainably grown, PETA-certified cork. The Studio’s pieces are unusual enough to garner attention, and comfortable, casual, and durable enough for everyday wear. 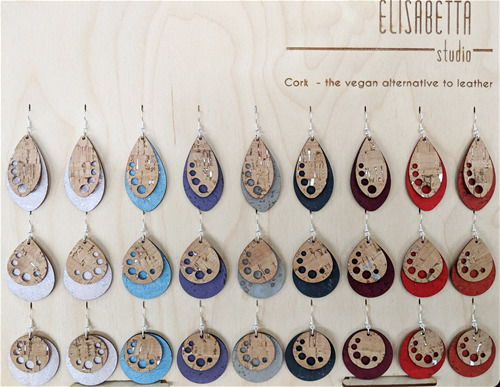 Custom design your own starter package of lightweight and colorful cork earrings. The package includes 20 pairs of french hook style earrings and display for $270. 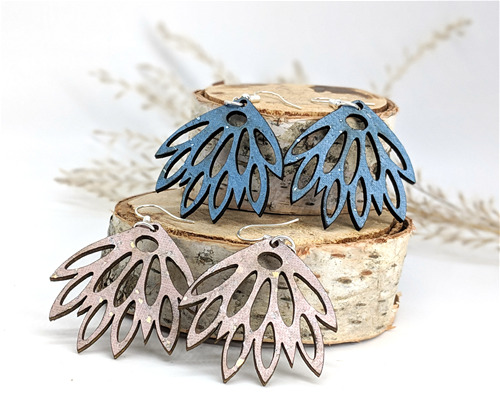 You customize your package by choosing the color palette and specific earring styles that will appeal to your client base. Custom design your own starter package of Classic Bracelets. The package includes 30 classic bracelets and a display tray for $380. You customize your package by choosing the color palette and specific styles that will appeal to your specific client base. 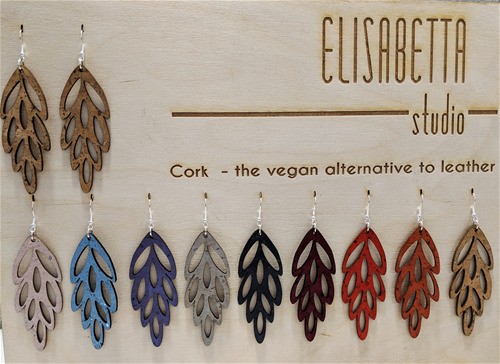 Elisabetta Studio's earring line, featuring a range of rich colors offered in combination with the intricate and precisely cut patterns, command attention. 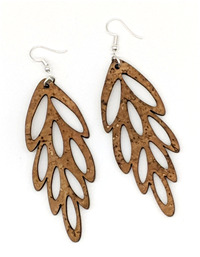 Cork is lightweight and durable, making it an ideal material for earrings. 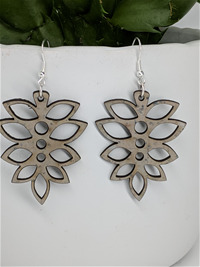 Each pair features double sided cork and hangs from a silver plated wire, giving them a polished look from front to back. Cork is a rich, earthy, and attractive material widely considered the natural vegan substitute for leather in the fashion world. 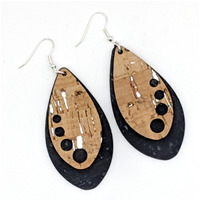 Its lightweight and supple nature makes cork especially suitable for earrings, bracelets and necklaces. Cork is a rich, earthy, and attractive material widely considered the natural vegan substitute for leather in the fashion world. 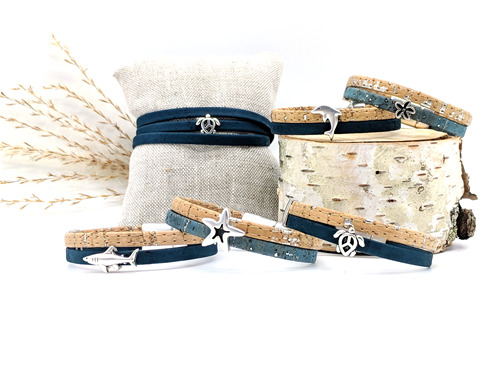 Its lightweight and supple nature makes cork especially suitable for bracelets and necklaces.